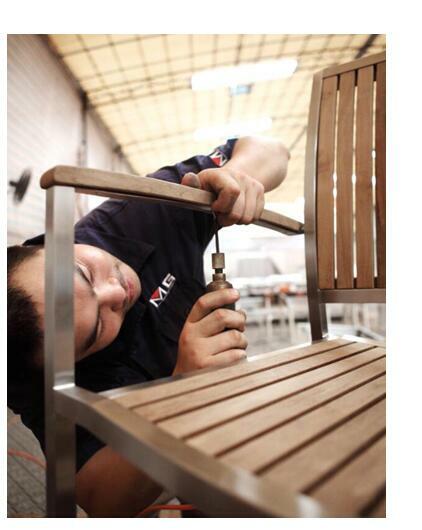 MG is a manufacturer specializing in high-end outdoor furniture production. We are focused on OEM and ODM of the high-end garden furniture. The products range is from dining tables, dining chairs, sectional sofas to sun loungers and many other more. At long-term development, MG has accumulated rich experiences and superior production techniques in furniture production for more than 10 years. Currently, MG factory covers an area of over 20000 square meters and has hundreds of skilled workers. Modern and Gorgrous products that we are producing, Quality and Customers come first are our standards. We are sure you will be one of our customers all around the world in the near furture. MG all-weather furniture are usually used in the following places:Shopping Mall、Restaurant、Open-air pub、Airport、Golf Course、 Balcony、Patio、Garden、Backyard、Yacht、Seaside、Swimming pool surrounding etc.